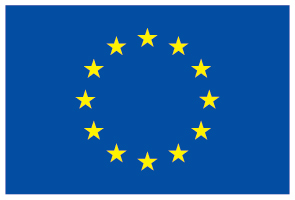 Youth Entrepreneurship Support Network (YES Network) is a project financed by the European Union. The author has the sole responsibility for the content of these documents, which does not reflect the views and opinions of the European Union in any way. All civil society organisations that work in the area of supporting youth entrepreneurship and related fields, are invited to become members of the Youth Entrepreneurship Support Network by filling in this Memorandum of Understanding for the membership, and sending it to: info@yes-network.org. This research is consisted of an analysis and evaluation of the needs and challenges faced by young entrepreneurs in Macedonia. The research output is available in Macedonian. The YES Network Action Plan suggests active measures to enhance the support for young entrepreneurs in Macedonia in line with the EU Entrepreneurship 2020 Action Plan. The document is available in Macedonian. The Entrepreneurship 2020 Action Plan is the Commission's answer to challenges brought by the gravest economic crisis in the last 50 years. The publication was promoted during the First stakeholders' meeting of YES Network.